If you’ve ever tried booking theater tickets in London you know what a Herculean task it can be, especially for plays with celebrity actors and running just a few weeks. Most are sold out in the blink of an eye (Stephen Fry on Twelfth Night at the Shakespeare’s Globe… sniff), so why not watch the performance projected live, in another movie theater, in high-definition? 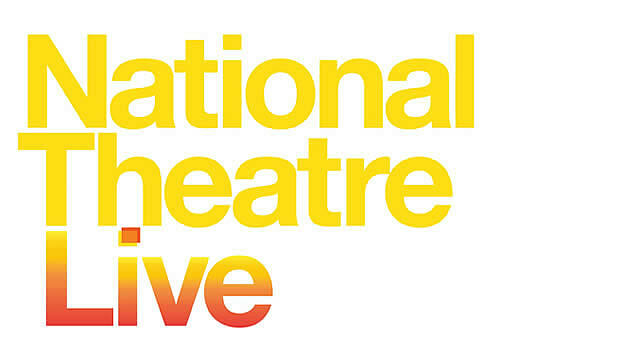 Up until very recently I’d never heard of the National Theater Live. I knew vaguely you could go to the cinema to watch live Opera, but never imagined the same could be done with theater. But then a friend, after seeing my 2012 Shakespearean resolution, invited me to see The Comedy of Errors. The cast included Lenny Henry, Lucian Msamati and Claudie “Queen of Costume Drama” Blakley. They were wonderful, the set was fantastic, and the physical comedy fitted cleverly with the Bard’s original jokes. The Brussels audience laughed especially hard at the “I could find out countries in her” speech, which mentions Belgium (West End Whingers in their review of the play asked “Shakespeare of course invented everything. 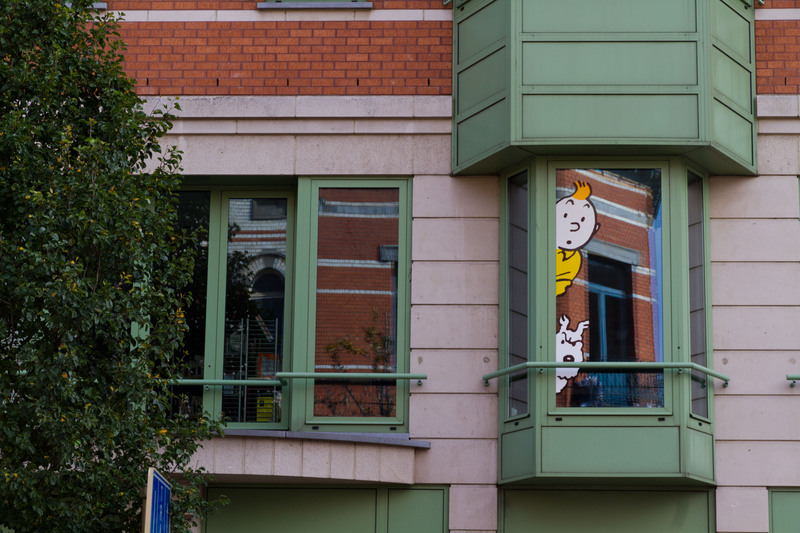 Was he the first to discover the intrinsic comic value in Belgium too?“. You got to love a country able to laugh at itself. 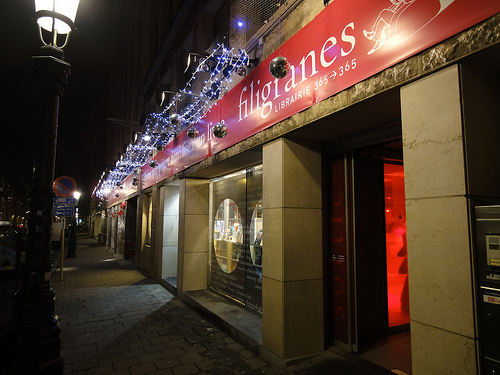 Another great example is the movie In Bruges). It’s quite a feeling to hear the London audience laugh while we were laughing as well, and imagine all the other spectators around the world doing it as well at the exact same time (hurrah for globalization!). There are hundreds of locations that offer NTV, and although nothing compares to actually being there, this sure comes close. Have you ever tried it? I’m planning to see “She Stoops to Conquer” of the 29 March and the encore of Frankenstein, with Benedict Cumberbatch and Jonny Lee Miller, about which I’ve heard wonders. Anyone joining? 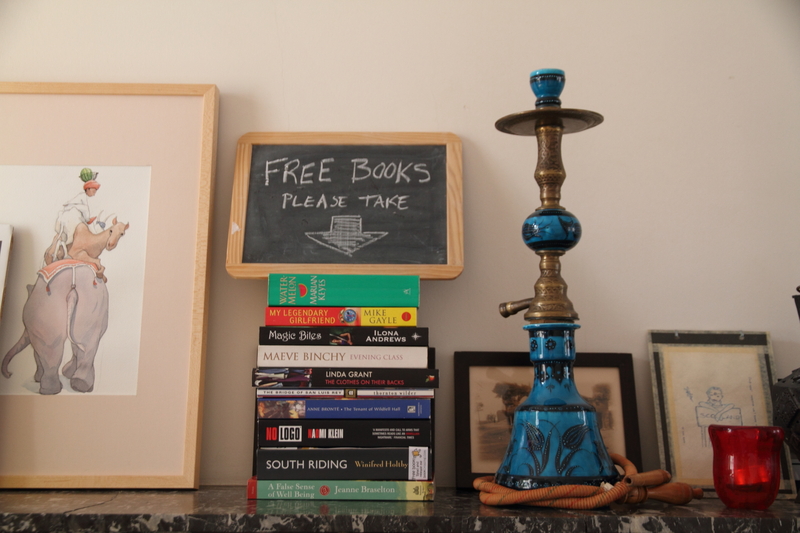 This year was the first time Joanna and I made a 5-book exchange. It’s been a great experience and so far I really enjoyed everything she recommended: Kindred, The Vanishing of Katharina Linden and The Star of the Sea. I’m at the moment almost finished with Out by Natsuo Kirino and already have The Space Between Us on the shelf, still to be read this month. 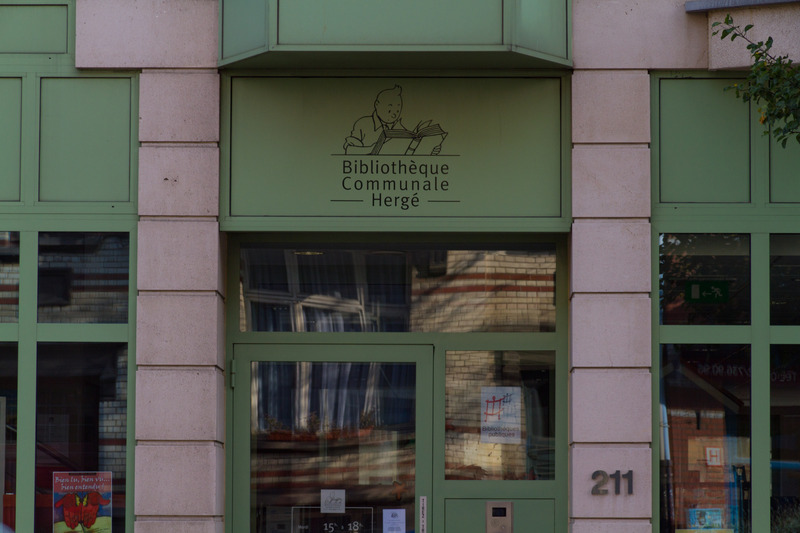 Meanwhile, an off-line friend of ours, also from Brussels, joined the book blogging world – check out Like People and Butterflies and say hi to Larissa for me. So in 2012 the (only?) three bloggers Bruxellois are doing an exchange between them, and the books are already lined up (see here for Larissa & Joanna’s mutual choices). Now that I know her better, I can more confidently chose a balance between the type of books I think she’ll like, and the ones she wouldn’t normally pick but might still appreciate. I like the mix of “lit” and “light-lit”. Especially looking forward to Vernon God Little. There are translations for the two last ones, but I’ve decided to read them in the original. 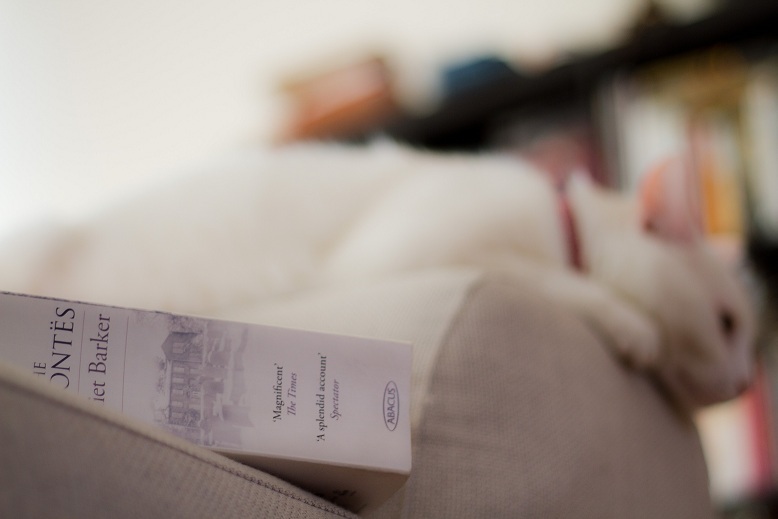 It’s a good excuse to stop being lazy and read novels in French. At the moment I only do it with comics. I know other bloggers out there also do exchanges. Looking forward to seeing what you’ve chosen this year! 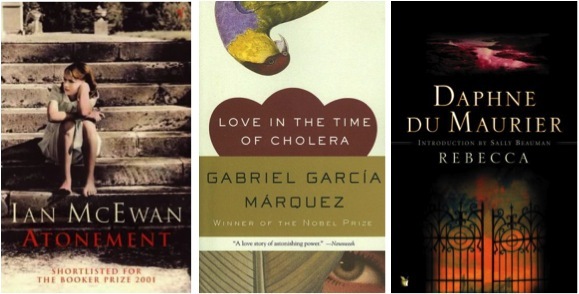 If there’s any justice in the world, someday these books will have the recognition they deserve. To be fair, some are already hugely popular in certain parts of the world, so maybe this post should be called “Books I’m surprised the Whole World isn’t talking about”. Would love to know if you’ve ever hear of/read any of them. At the yearly Book Fair here in Brussels I always buy a couple of mavericks. 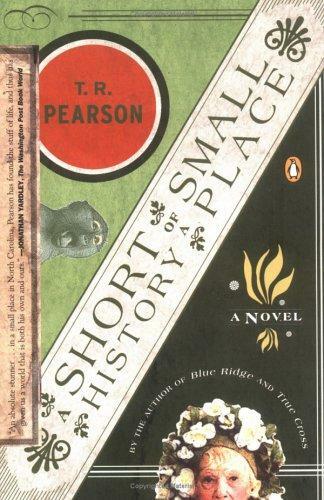 A Short History of a Small Place was my 2007 blind date but it quickly became one of the best of the year. I may have been easy to please because of my soft spot for Southern Literature, but this novel seemed to have all the elements needed to win me over: a small town, eccentric characters, smart jokes and the bittersweet feeling of coming-of-age. Still, I’ve never met (online or in person) anyone who’s ever heard of A Short History of a Small Place. The story is set in the mid-60s, in the fictional town of Nelly, NC. Our young narrator, Louis Benfield, recounts the tragic last days of old Miss Myra Angelique Pettigrew, a former town belle and eccentric wealthy sister of the late mayor. After years of total seclusion, Miss Pettigrew returns flamboyantly to public view to sing her swan song. Although events are told by Louis, in a way we see them from the perspective of the entire town. They are those stories told over and over at the kitchen table, in the supermarket line, in the beauty salon and after Sunday service. So often that they become the stuff of legend. I think I’m not exaggerating when I say that Baltasar and Blimunda is the most popular book by Saramago in his home country, so when he jumped borders it surprised me how rarely it’s mentioned. I’ve discussed this phenomenon with some friends and the only reason we can come up with is that, unlike Blindness, The Double or All the Names, Baltasar and Blimunda is very… Portuguese. Its political and religious message, although not unique, can better be appreciated if you know something of Portuguese history and psyche. It’s the 18th century, and the Inquisition strengthens its grip on Portugal as gold and diamonds pour in from Brasil and other colonies. The book starts when King John V dutifully visits his Queen to try for an heir. He promises God that if he succeeds he’ll build a magnificent Monastery, and that’s the start of what will become the Mafra National Palace. 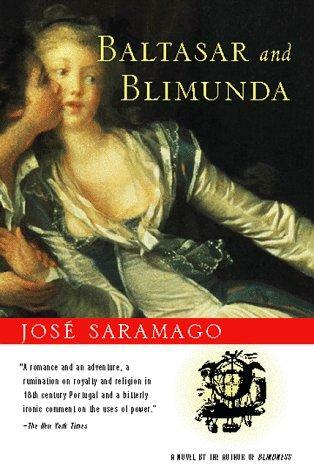 Baltasar and Blimunda is the story of the construction of the Palace and Saramago takes us on an intimate journey through the Nobility and Clergy who funded it, the engineers who design it, and the lower classes who actual build it. 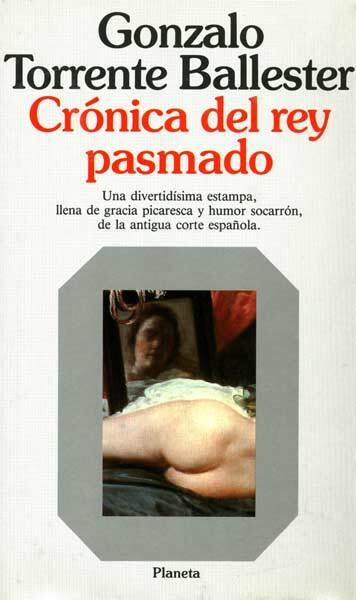 It’s an historical novel with the social and religious criticism Saramago is famous for, but he still managed to create what’s still one of my favorite love stories of all time. 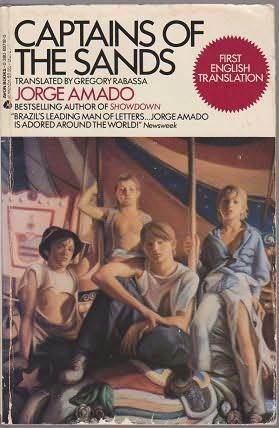 A classic of Brazilian literature which doesn’t seem very popular outside the Portuguese-speaking world and Latin America. I remember it for its emotional punch and my first encounter with a world that is not all black and white. I probably read it a bit too early in life and I clearly remember how it heart-broken I was. “Captains of the Sands” is a gang of abandoned children living in the streets of Bahia in the 30s. They’re between seven to fifteen years old and survive by stealing and coning. Think Lord of the Flies meets City of God meets Peter Pan. It’s a book that surprised me by the amount of topics it approaches: poverty, social injustice, parenthood, sexuality, gender equality, African culture in Brazil. Read it and fall in love with Pedro Bala, the leader, Professor, the book-lover and artist, and Dora, the Wendy-like figure of the gang. There’s also a movie adaptation. Here’s the trailer. 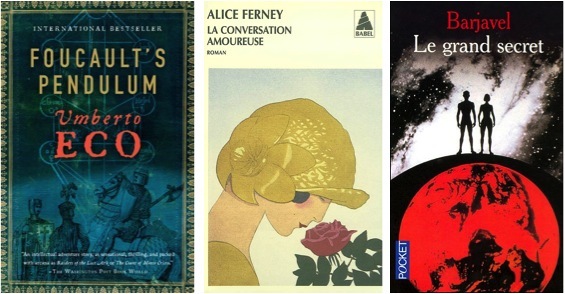 These are a series of books started in the 80s that have reached cult status, at least in the Franco-Belgian graphic novels world. Schuiten in particular is so well liked here in Belgium that he got to design his own Steampunk metro station. The Cities of the Fantastic are an imaginary world where humans live in independent (sometimes isolated) city-states, each with a distinct civilization and architectural style. There are passages between our world and the Cities (the Obscure Passages), sometimes crossed by people on both sides. Jules Verne, for instance, is a frequent visitor. 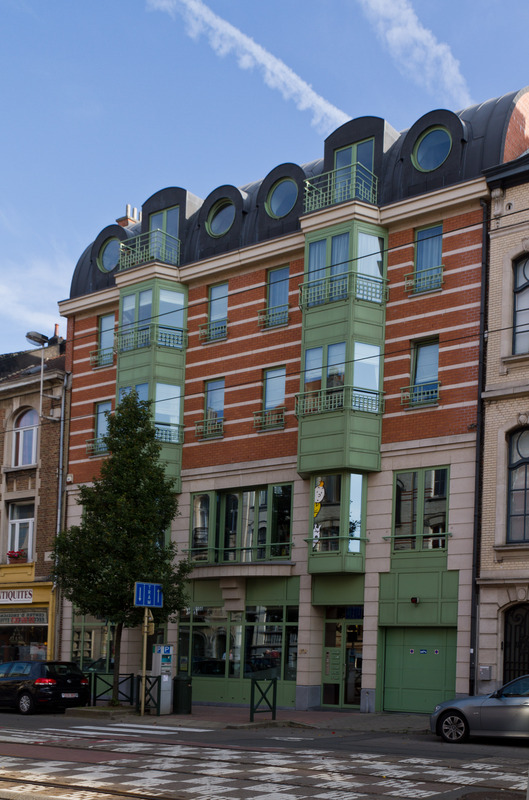 Most Passages are found in buildings and constructions similar or identical in both words, such as Art Nouveau master-piece Maison Autrique. You can even read reports (complete with photos) of crossings in websites like the Office to the Obscure Passages or The Web of the Obscure Cities. The series and its spin-offs offer beautiful art with a solid world-building. 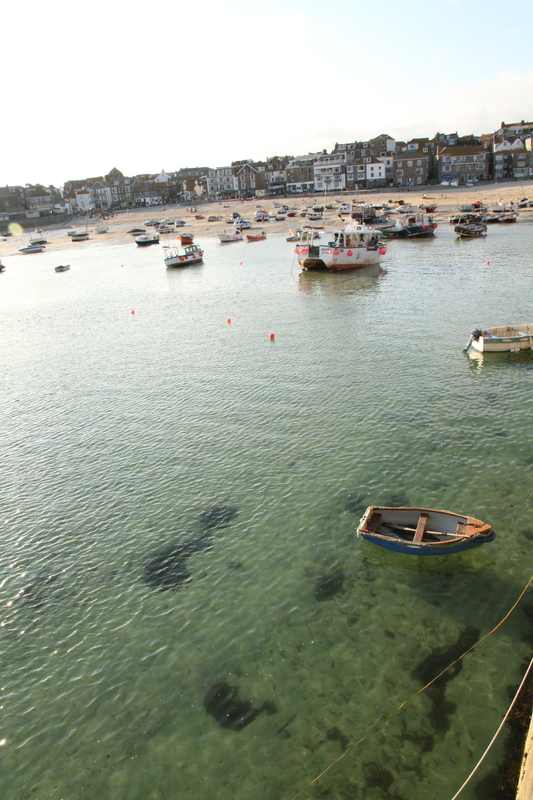 Pure, unadulterated escapism. It’s a huge mystery to me why Citizen Dog doesn’t have the same following as Calvin & Hobbs or Mutts. I always get a good laugh out of Citizen Dog books, no matter how often I read them. The lines between master and dog are usually blured and often switched, but somehow Fergus is more lovable than other rebels, like Garfield. Anyone out there also a fan? After sleeping with his best courtesan, young King Philip IV becomes obsessed with an idea. A simple idea, but one which will rock the Court, the Inquisition and the Kingdom: Philip wishes to see the Queen, his wife, naked. This is the epitome of a hidden gem, a funny, clever and insightful satire about conformity and personal freedom. Usually my birthday gift from André is a road-trip to a place of my choice. This almost always involves literary locations, mostly connected to Austen. We did Winchester, Steventon and Chawton one year, Bath in another and this year I dragged him to Lyme Regis to see the famous steps. PS: Dear American readers, I know you’re going through a heat-wave so feel free to send some our way. Several countries in Easter and Northern Europe are having a terrible summer. 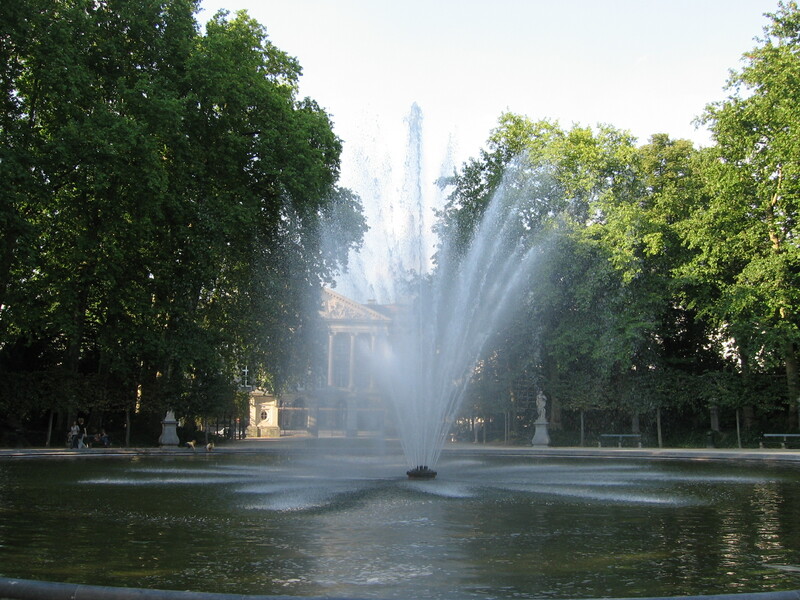 Today in lovely Brussels: 14C/57F. 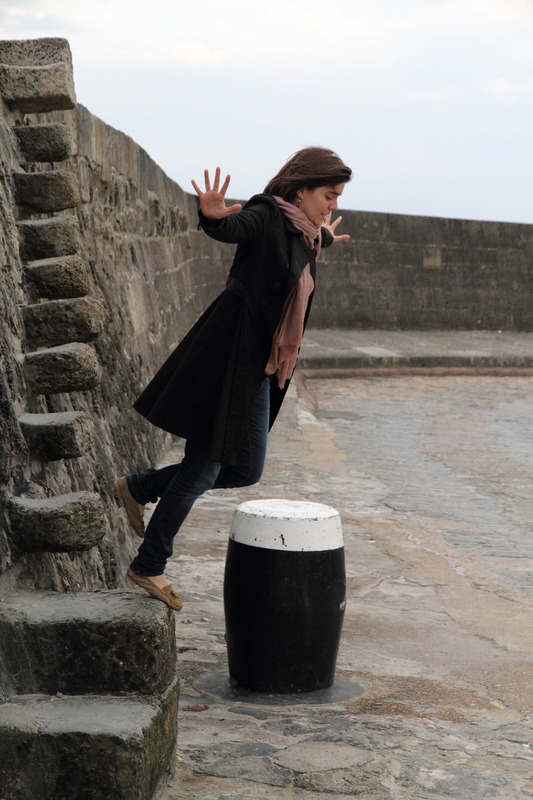 I jumped, but alas, just like Louisa Musgrove, there was no Captain Wentworth to catch me. 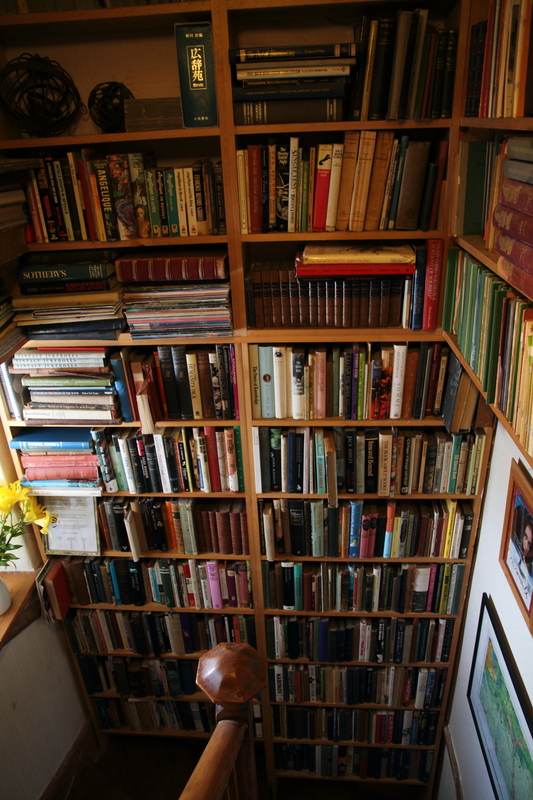 Inside The Booklovers B&B in Lyme Regis. We had a lovely time there. It stands in the same place as the Hiscott’s Boarding House, where Austen stayed when she visited in 1804. Afterwards the Three Cups Hotel replaced it and welcomed Tennyson, Longfellow, Belloc, G.K. Chesterton and Tolkien before it burned down in 1844. 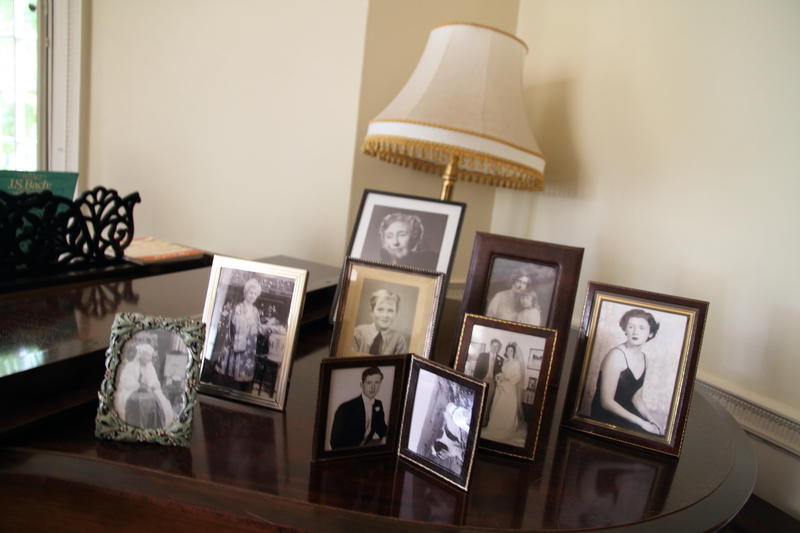 Family photos on the piano at Greenway, Agatha Christie’s beautiful holiday home. 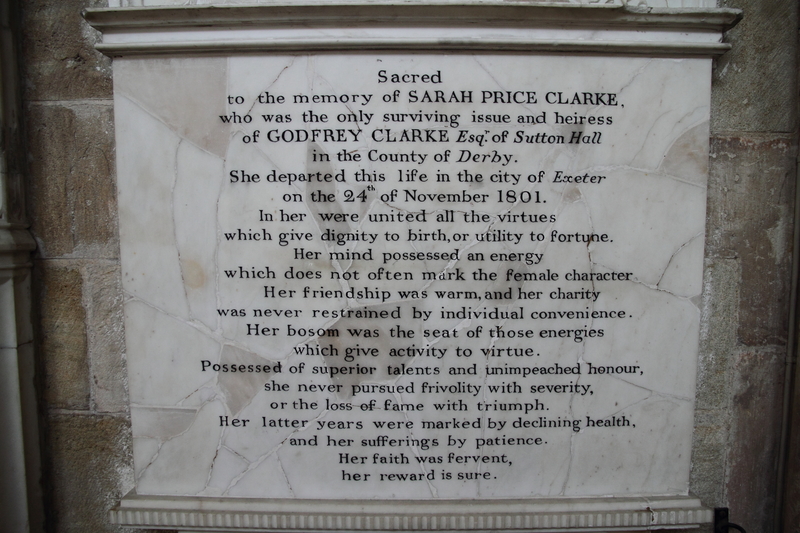 Plaque at Exeter’s Cathedral: “To the memory of Sarah Price Clarke (…). Her mind possessed an energy which does not often mark the female character.” Priceless! 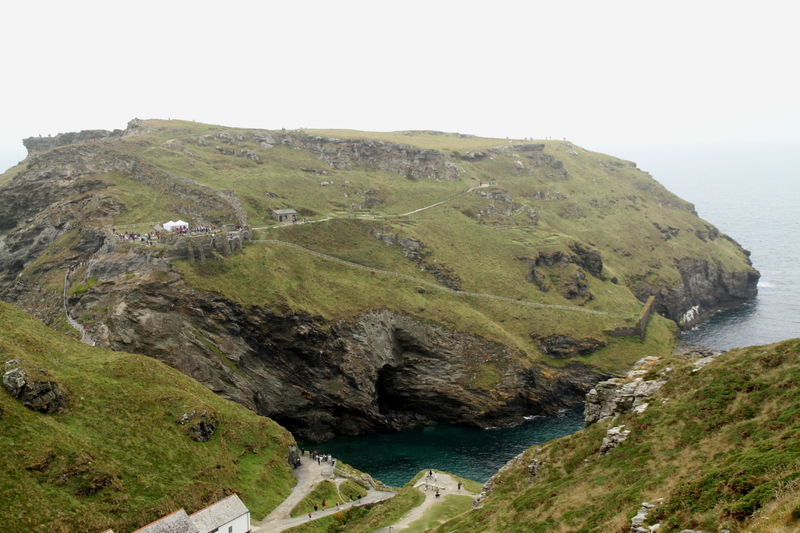 … and finally, the ruins of Tintagel Castle, the mythical birthplace of the mythical Arthur Pendragon. As I’ve mentioned in the first part, I don’t usually write multiple posts about a single book outside read-alongs. However, there’s just too much to explore in Juliet Barker’s The Brontës. It’s an amazing portrait of the family, and has deservingly become known as the biography for all of them. It’s the perfect choice for a brave bookclub like mine, who agreed to tackle this 900+ page mammoth. 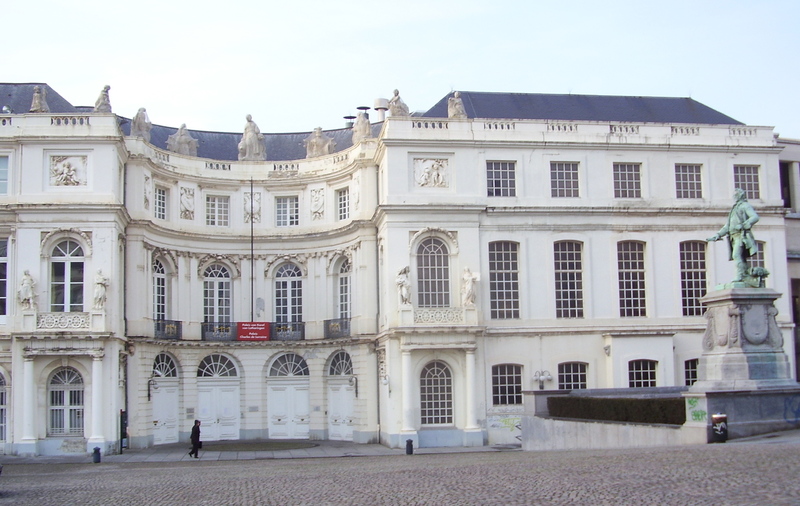 The second half of the book starts right after Charlotte and Emily arrive in Brussels and begins her lessons with Monsieur Heger. Strangely enough, it’s not Charlotte’s falling desperately in love that’s the most interesting part of this period, but understanding the influence he had on her writing. He gave her focus and drive, and he encouraged her to write about what she knew. Charlotte’s journey from the enchanted world of Gondal to the almost autobiographical Jane Eyre is remarkably similar to the one made by two fictional characters with similar literary aspirations: Little Women’s Jo and Anne of Green Gables. Having spent most of her life at home, Emily had always been the one most dedicated to, and involved in, her imaginary world. There was no perceivable break between her Gondal writing and her novel; indeed it seems likely that she went straight from writing her long Gondal poem “The Prisoner”, to Wuthering Heights. It’s also in this second half of the book that we get to see that the beginnings of some of the most famous novels in the English language. Fascinating stuff! Something I didn’t know: Emily might have written a second book. Barker has very good arguments to support this as well as the theory that it was destroyed by Charlotte, to prevent another “coarse” novel to be published and further harm her sister’s reputation. As is normal with Brontë-related non-fiction, Charlotte takes center stage due to the amount material biographers have to work with. After the portrait of sainthood painted by Mrs. Gaskell in her version, it’s truly illuminating to finally see Charlotte in 3D, with all her weaknesses and inconsistencies. I’m not sure we would get along if we ever met, I’m afraid. I’m too outraged at the way she handled her sisters’ (especially Anne’s) work after their deaths. Her defense of their themes and writing style (they dared to actually using the word “damn”, instead of “d–“!) wasn’t very brave or true to their nature. She presented them as secluded virgins with an overwrought imagination who didn’t know what they were doing instead of, for instance, argumentation in favor of Anne’s moral and religious motivations for writing The Tenant of Wildfell Hall (can you tell I’m an Anne fan?). I also was shocked at how Charlotte heavily re-wrote edited their poems, sometimes completely changing the original meaning. I know Charlotte is considered ground-breaking in her writing, especially in Jane Eyre, but after reading most of the Brontë novels (only missing The Professor and Shirley), she strikes me as the most conventional of the three, the one who risked less. Even on the issue of governesses, Agnes Grey was much stronger in its realism and brutality. This [women’s rights to work] was a subject to which Charlotte would return again and again, it being one of obvious relevance to her own situation. One cannot escape the conclusion that her intellectual engagement with the subject arose purely and simply as a result of her own unhappiness. if she had been financially independent, “the condition of women”, would not have mattered to her. But to give her credit, she did show great spirit at time, like her head-to-head with the great William Makepeace Thackeray, who she idolized but never the less receive a piece of her mind when he deserved it. Barker’s description of the dramatic moments of the family’s deaths were the first time a non-fiction book made me cry. Anne’s death in particular was hard to read because we not only have Charlotte’s description, but also that of Ellen Nussey, an intimate family friend. It was Ellen, together with Mrs. Gaskell and Charlotte’s friend and publisher George Smith, that made my blood boil in the book’s last chapters. Barker does a wonderful job of piecing together the creation of The Life of Charlotte Brontë, which became the beginning of what Lucasta Miller described as “the Brontë myth”. The three of them did Charlotte a great injustice, not only with the border-line-illegal ways used to gather materials, but especially in the portrayal her family, which would be the accepted version for centuries to come: “poor Charlotte”; not-of-this-world Emily; Branwell, the black-sheep; Patrick, the distant and harsh father; Arthur the domineering husband. Also, next time someone argues that the media’s exploitation of the personal life of celebrities is a modern phenomenon, I’ll have to gently disagree, after reading about what happened after Charlotte’s death. Barker has clearly set out to de-bunk most of the Brontë myths and has done a great job of it. It’s almost an historical moment to see their true characters finally starting to surface, after all this time. Today, Armchair BEA is all about Book Blogging Relationships. Books have led me to some of my most rewarding “real life” friendships. I’ve mentioned before I was part of the Bookcrossing movement, which I joined in 2002 when the Portuguese community was still tinny. 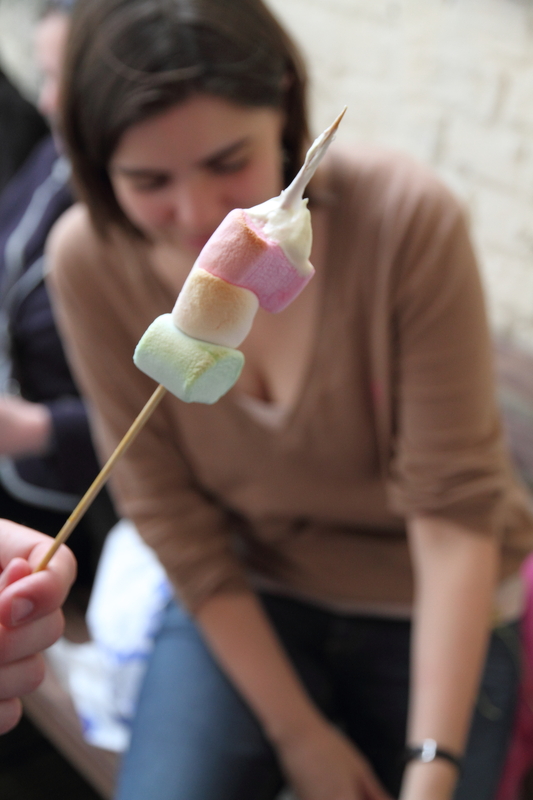 Every single one of our early meet-ups had an extraordinary energy. Clearly none of us was used to meeting other people who loved books as much as we did and (great bonus) read in English. Six of us in particular began a friendship that has now gone far beyond BC and is still surprisingly strong. Something very similar happened when I met Joanna from It’s all about me (time). She is, to my knowledge, the only book blogger in Brussels and we hit it off straight away when we first met last October. This time the impact was not so much about the books, but about meeting someone who actually knew what I was talking about when I mentioned the RIP Challenge or Reading in Color. As Joanna wrote in her blog, it was “as if my blogging didn’t properly exist before and now that whole world belongs to reality” and I couldn’t put it better. Since then it’s rare that a week goes by without us having lunch together and we also often meet during the weekend. I’ve had the honor to be part of the select group of friends and family she invited to her civil wedding and will also be at her upcoming Handfasting ceremony. I’ve never met any other blogger in person, but if this first experience is any indication, I think starting a book blog was the beginning of several beautiful friendships. But now seriously: the chapters in the Park were masterpieces of pacing. The way Brontë built up and released tension turned Villette into a page-turner, something I couldn’t in truth say until then. I absolutely loved the Lucy and Graham moment in the park and even got a bit teary when she describes “Lucy’s Room”. Graham is not a bad man and can be redeemed… just not by her. I’m sure many of us have a Graham in our lives. He did not with time degenerate; his faults decayed, his virtues ripped; he rose in intellectual refinement, he won in moral profile: all dregs filtered away, the clear wine settled bright and tranquil. It was also a guilty pleasure to see Lucy (finally) lash out at Mrs. Beck – “Madame, you are a sensualist.” I had to go to the dictionary to understand exactly what she meant here – “sensualism is the philosophical doctrine according to which sensations and perception are the basic and most important form of true cognition.” That doesn’t seem too bad, but the way Lucy says it it really sounds like an insult. And talking of insults, I was laughing at myself over Lucy’s swearing – “Dog in the manger!” – I think I’ll adopt the expression. I was happy with the ending. After the drama and anguish, after the exposure of the true villains of the story, I welcomed the little house with the white walls and delicate china. However (there always seems to be a “however” between me and Mr. Paul), it was a bit cheeky of Mr. Paul to go ahead and rent a house for Lucy without actually knowing if she would accept it or his proposal. Also, he made her wait at the Pensionnat, when he knew she was close to people who didn’t want her wellbeing. But all is forgotten, after all, he trusted her and let her to make her own way for three years – how many Victorian heroes would do the same? I think they’ll be very happy together. Once again, thank you Wallace for organizing and moderating the discussion and to the bloggers out there who stuck by the read-along until the end – it was a pleasure sharing this book with you! 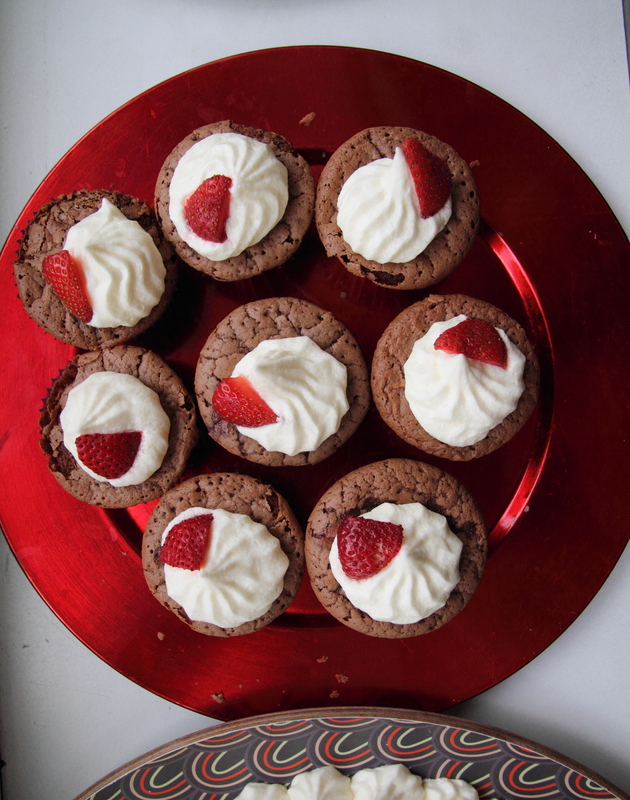 “Do I displease you eyes much” I took courage to urge: the point had it’s vital import for me. That was a kiss, right? PPS: Didn’t Ginevra’s letter remind you of Lydia’s in P&P? 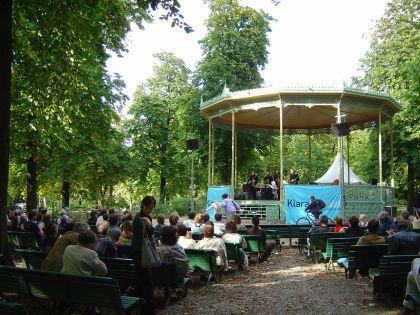 Brussels’ Parc Royal, very close to the Pensionnat Herge. Much to think about in these chapters. I was left with some nagging questions which I hope the other participants in the read-along might help answer. There I sit and read for hours together: it is my way-my taste. My book is this garden; its contents are human nature – female human nature. I know you all by heart. Also in that same conversation he tells Lucy about St. Pierre’s intentions (not very gentlemanly) and how his spying allowed him to see St Pierre as she truly was (“I have seen her rancours, her vanity, her levietes”). Lucy seems to accept that justification and even says, surprisingly “If you were a wicked, designing man, how terrible would all this be!” You know what this whole scene reminded me of? The Phantom of the Opera, but with a less likable Phantom. But moving on to the new-found love between Lucy and Polly. I didn’t see it coming and am not sure if it’s not a bit out of character. Is Polly less annoying than she was before or was Lucy freed of blinding jealousy when she buried her letters and devotion to Graham? Also, can you help me understand this speech of Lucy? Much pain, much fear, much struggle, would have troubled the very lines of your features, broken their regularity, would have harassed your nerves into the fever of habitual irritation you would have lost in health and cheerfulness, in grace and sweetness. Providence has protected and cultured you, not only for your own sake, but I believe for Graham’s. His start, to, was fortunate: to develop fully the best of his nature, a companion like you was needed: there you are, ready. At first it seems a sweet thing to say, full of compliments, but when reading closely what it really says is: if you were a bit more complex, a bit less beautiful, Graham wouldn’t want you. I still don’t understand why she would say that Graham needs Polly in order to “develop fully”. Does he really need another person in his life that thinks he’s God incarnate? Is Lucy truly sincere here? Finally about the house in Basse-Ville and ensuing tête-à-tête. It was truly gothic experience and kudos to Lucy for keeping her cool. I wonder what Catherine Morland’s flamboyant imagination would make of it all. I bet nothing as noir as the real story. The conversation between Lucy and M. Paul in Chapter 35 was really well written: M. Paul did well and Lucy used the right amount of teasing. Her happiness at the end was very genuine and apart from her walk in London, I never felt so close to her. However, I’m afraid that in my heart, M. Paul is beyond salvation. True, he’s generous and selfless but I think he does it a lot because he likes the image of himself as the ever-loyal lover and self-sacrificing man. He watched as Lucy was submitted to an interrogation which was clearly painful for her because his vanity and honor needed to be saved. In his mind, Lucy’s essay is not a reflection not of her abilities, but of him as a teacher. In the chapters describing his private lessons, he made it clear that Lucy shouldn’t be eager for knowledge or too proud of what she manages to achieved. I have not doubts M. Paul is a good man and that Lucy has found her intellectual match. I’m just sorry she has to hide this from him.